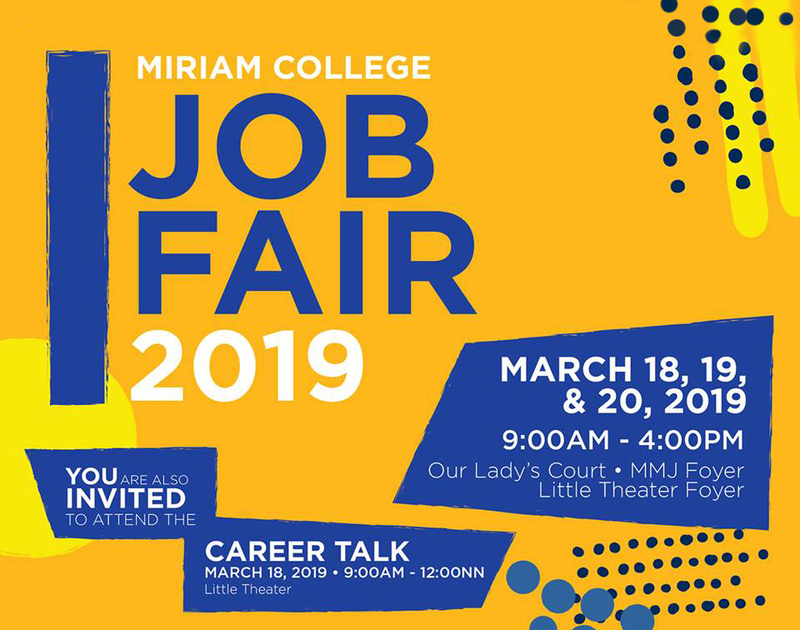 We maintain programs that provide opportunities for internships and employment for Miriam College students and graduates. We network with industry partners for possible employment of graduates, implement programs and projects to reinforce students' career knowledge, skills and attitudes. We aim to provide programs and projects for students from first to fourth year for greater employability and to grow professionally to their fullest potentials as Women Leaders in Service. This event is an opportunity for students and alumni to learn about potential careers in industry sectors, network with employers, and submit resumes to prospective employers. CDPO has accredited employment and internship partners who are interested to hire MC graduates. You have the option to join our database and allow us to provide our partners with your resume.